Former PPG Industries senior vice president Robert J. Dellinger has pleaded guilty to killing a pregnant woman, her fiance and their fetus in a deliberate head-on collision that he called a suicide attempt. Robert "Bob" Dellinger, 54, of Sunapee, NH, faces up to 24 years in prison when he is sentenced in April. 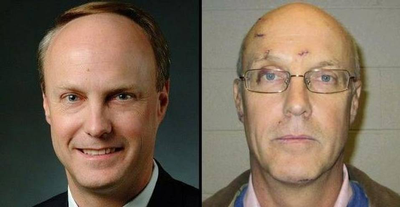 Robert Dellinger, shown in 2005 as Sprint CFO and in his 2013 police mugshot, was traveling nearly 90 mph when his vehicle struck the victims' SUV, killing them instantly, police said. "I'm extremely remorseful to the families, and to my own family as well," Dellinger said Thursday (Feb. 19) in Circuit Court in New Hampshire. "I wish I could have that day over." Dellinger pleaded guilty to neglient homicide in the deaths of Amanda Murphy, 24, and Jason Timmons, 29, of Wilder, VT. Murphy was eight months' pregnant; Dellinger also pleaded guilty to assault in the death of the fetus. The couple were killed instantly Dec. 7, 2013, when Dellinger drove his 2005 Chevy pickup across the median of Interstate 89 in Lebanon, NH, and plowed into Murphy's 2005 Ford Escape. The truck became airborne, shearing the roof from the SUV, police said. Dellinger suffered cuts and bruises in the crash. 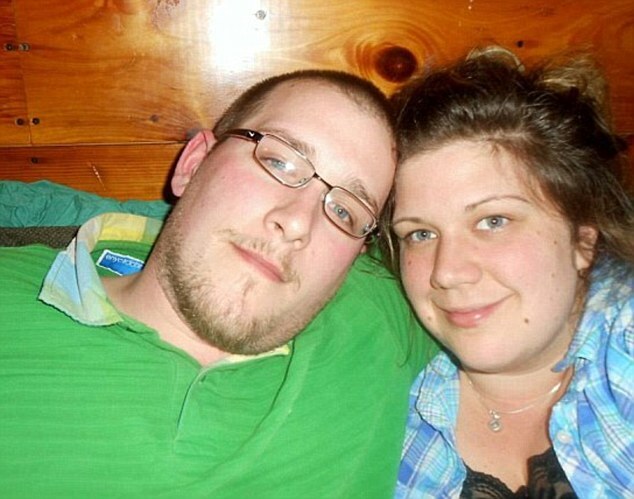 Jason Timmons, 29, and Amanda Murphy, 24, met while working at a home for the elderly. Murphy was eight months' pregnant with their daughter at the time of the crash. The initial charges of reckless manslaughter were increased almost immediately to second-degree murder, based on what the state Attorney General then called "circumstances manifesting an extreme indifference to the value of human life." Dellinger joined PPG in September 2009 as chief financial officer and senior vice president, succeeding William Hernandez. “Bob comes to us well-qualified to lead PPG’s financial operations and will add great depth of international experience and expertise to our senior management team,” PPG chairman and CEO Charles Bunch said in a statement at the time. According to triblive.com, Dellinger was one of Pittsburgh's highest-paid executives, earning more than $3 million a year at PPG. 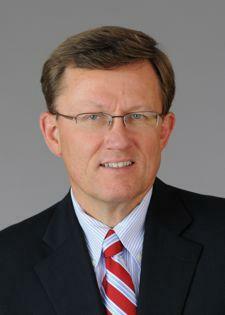 Dellinger previously held executive positions with Delphia Corp., General Electric Co. and Sprint Corp. In June 2011, Dellinger abruptly left PPG with a $1 million severance package, due to what the company said were health issues. PPG Chairman and CEO Charles Bunch (left) called Dellinger "well-qualified to lead PPG’s financial operations" when Dellinger joined the company in September 2009. In June 2011, Dellinger departed the company and was succeeded by David B. Navikas (right). He was succeeded by then-PPG controller David B. Navikas, who is now senior vice president, strategic planning and corporate development. PPG recently announced that Navikas would retire March 1. Dellinger told police after the crash that he had been trying to take his own life. He said he had "had a disagreement with his wife and went to Vermont to drive around. He said he was very depressed and gloomy and wanted to have a car wreck and kill himself," prosecutor Geoffrey Ward told local ABC affiliate WMUR-TV and other news outlets. Tire marks showed that Dellinger had accelerated as he entered the median, reaching a top speed of 101 mph seconds before the crash and still traveling at 87 mph when his truck hit the SUV and his airbag deployed, the Pittsburgh Post-Gazette and other outlets reported. Police said the truck had bounced off guard rails on both sides of the southbound lanes before it hit the SUV, then became airborne and didn't land until it reached the shoulder. Prosecutors maintained that Dellinger was not suicidal but impaired by prescription medications and withdrawal from Ambien. Dellinger's attorney said his client had been dealing with medical issues, which had been "resolved and dealt with" through treatment. What an incredibly selfish man.